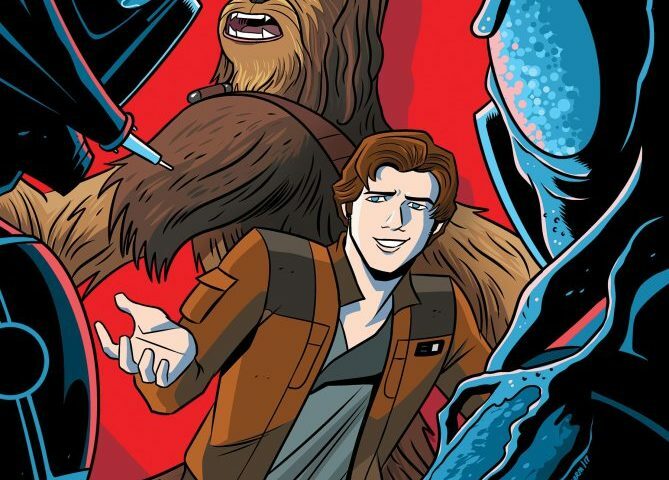 Yesterday Entertainment Weekly revealed a full slate of publishing tie-ins for Solo: A Star Wars Story. Now StarWars.com has updates on street dates, prices, and synopses for those titles. Below you can find a few of the highlighted releases, including fiction, non-fiction, and comic books. You can check StarWars.com to see the full listing, including children’s books. Han Solo thinks he has an easy smuggling job—until bounty hunters Zuckuss and 4-LOM arrive with their sights set on Han’s cargo—and Han. But Han just might have a trick or two up his sleeve to save himself and finish the job.